A critical evaluation of The Best American Comics 2015 (Best American Comics) by Jonathan Lethem (Editor) and Bill Kartalopoulos (Editor). The Best American Comics series are simply imperative reading. Comics (note the editors donâ€™t need to yank anyoneâ€™s chain like they do in the mainstream and substitute the words â€œgraphic novelâ€) are undoubtedly a booming art form. More comics are being written, drawn and produced than ever, and lucky for us, Bill Kartalopoulos has the monumental task of finding the choice cuts in this neat and lovely hardcover book series. That’s why the importance of a book like this cannot be understated. The way it works is this: Kartalopoulos goes through the hundreds and hundreds of submissions (and one would guess, the releases that he catches on his radar) that were released from September 2013-August 2014 (yeah, it takes that long to put one of these compilations together), and sends them to the guest editor (Jonathan Lethem) to pick out his favorites. Of course, itâ€™s impossible to highlight or even find all the comics released in one year but, unless you know of a better way to do this, I think we should all send praises to Kartalopoulos and his comically long name for doing all the heavy lifting for us. Like they do every year, last yearâ€™s edition is simply a top notch collection of works with a vast range themes, art styles, and story telling. I mean, what else would you expect? A cool note also is that this collection has some comics that I was lucky enough to notice when they first came out. Iâ€™m talking about the excellent The Great War by Joe Sacco and Safari Honeymoon by Jesse Jacobs which I would recommend to anyone. 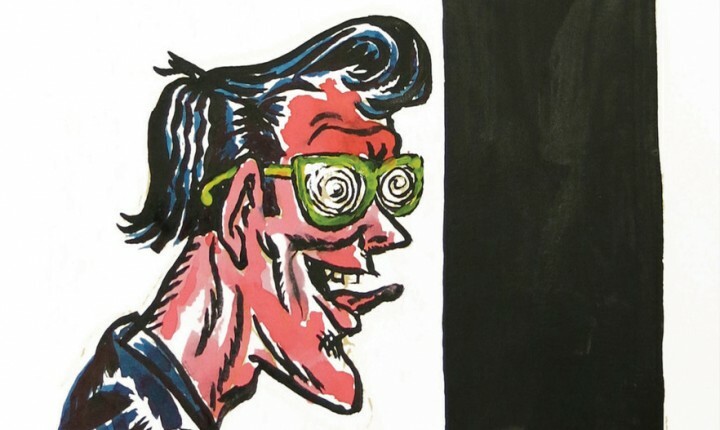 Of course there are also the selections I that popped and will ensure a closer look like Blane Throttle by Ben Duncan and Woman Rebel by Peter Bagge. Then there are the selections that didnâ€™t really strike a chord like Lacher de Chiens and Pretty Smart (forgive me as I donâ€™t mention the authors).